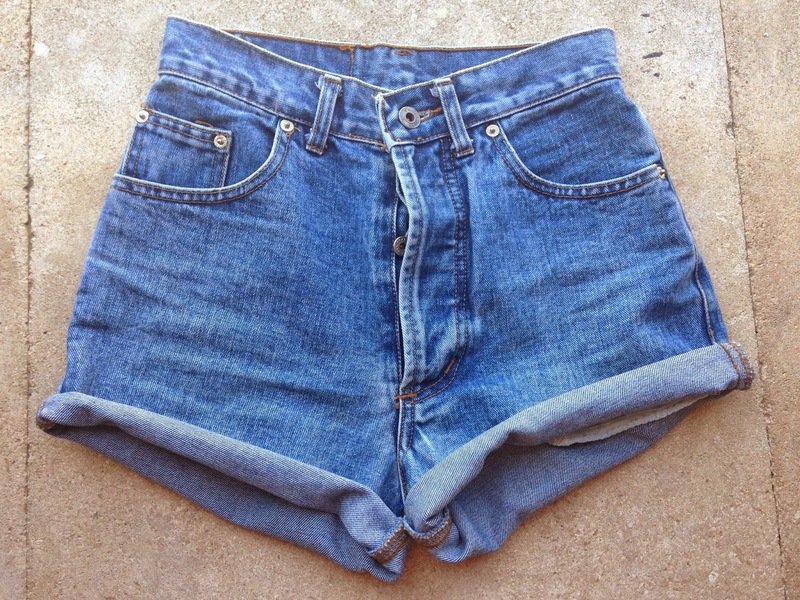 DIY: High-Waisted Roll Up Shorts | RAWR BOWS. Hello everybody! Today I'm here with what is probably the easiest DIY known to man. You will love this if you're a fan of vintage shorts like moi. Step One. Try the jeans on and draw a thin small line 15cm below where you would cut your jean if they weren't rolled up. Step Two. Start by cutting off on leg. Once we're done with the first leg, fold the shorts and cut the other leg. Step Three. Roll your shorts up twice. Step Three. Trey them on and if they are too long, either roll them up another time or cut them a little shorter. REMEMBER: If you're not too sure about how long you want your shorts to be, start by making them a bit longer and shorten them up later. As I said before, this is extremely easy. I also did a pair of high-waisted distressed shorts so if you want a DIY on them let me know in the comments!